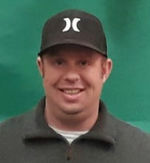 Benjamin Randolph Blackmon passed away unexpectedly in Las Cruces, New Mexico on March 28, 2019. He will be deeply missed by family and his many friends. The son of Randy and Ginger Blackmon was born on February 15, 1980 in Farmington, New Mexico. He graduated from Farmington High where he excelled on the Scorpion Baseball team. He played baseball at Trinidad JC and Midland JC. He earned a bachelor’s degree from NMSU. Ben worked in the restaurant industry for many years in management positions. He was employed by the Mattress Firm in Las Cruces at the time of his death. He loved sports and the outdoors. His three little girls, Kyla 8, and the twins Kelsey and Kinsey, 5, were his whole life. He loved them so much. Other survivors include grandmother Nona Andrews, sisters, Brandi Gorzeman and Brooke Ramsey, nieces Ashtyn Pafford, Taylor Wortman, Karlie Lee, Jaycee Gorezeman, Reagan Gorzeman, Nephew Jobe Lee, Aunt Vicki Darr and Uncle Brett Andrews. A memorial service will be held on April 5, 2019 at 2:00 P.M. under the direction of Getz Funeral Home, 1410 E. Bowman Ave., Las Cruces, New Mexico 88001. To send flowers to the family of Benjamin R. Blackmon, please visit our Heartfelt Sympathies Store.